This wiki page will show the information about the latest iPhone, including its design, features and more. AnyTrans – An Excellent Way to Transfer any files from iPhone, iPad or iPod. AnyTrans on your Mac/Windows can transfer up to 20+ files between iDevices, and you can have a try now and then go on reading this article. The iPhone SE (iPhone Special Edition) is a smartphone designed and marketed by Apple Inc. as part of the iPhone series of devices. 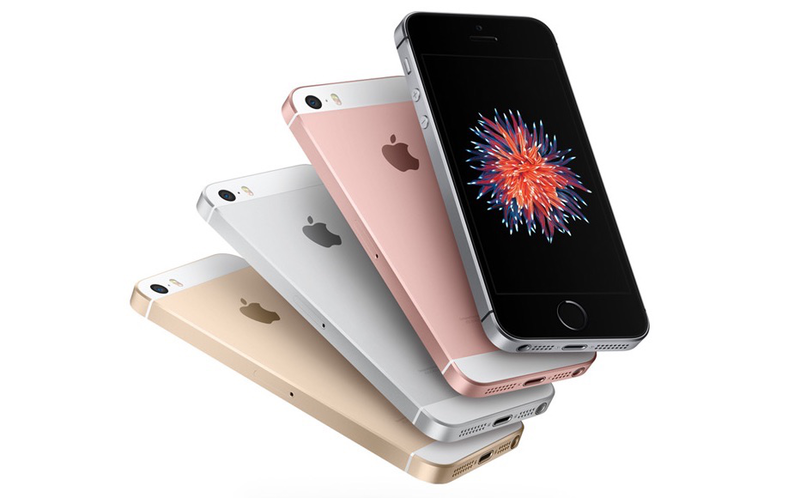 It was unveiled on March 21, 2016, at Apple's Cupertino headquarters and was released on March 31, 2016.
iPhone SE serves as a replacement for iPhone 5S as a lower-cost entry in the iPhone product line; combining the updated processor, rear camera, and other features from the high-end iPhone 6S with the smaller 4-inch display and nearly identical styling to the iPhone 5S, the only differences being the available colors (similar to the iPhone 6S models) and the matte chamfered edges. It is designed for people who prefer smartphones with smaller screens and is a cheaper alternative to the iPhone 6S. With a 12‑megapixel iSight camera, you can be sure to capture sharp, detailed stills like the ones shot on iPhone 6s. That includes shooting — and even editing — brilliant 4K video (Learn: how to sync videos to iPhone iPad), which is up to four times the resolution of 1080p HD video. iPhone SE’s Live Photos bring your still photos (Learn: how to transfer photos from iPhone to Mac) to life with sound and movement. Simply touch and hold anywhere on your 12-megapixel still and experience the moments just before and after it was taken, so your photos (Learn: how to transfer music from iPod to iPhone) turn into living memories. iCloud Photo Library stores every photo (How to Transfer Photos from iPhone to iPhone) and video you take and keeps them up to date on all your devices. Any edits you make are automatically updated everywhere, so you can view a photo from last week or last year no matter where you are. Siri is your personal assistant on your iPhone SE, letting you use your voice to send messages (Learn: how to retrieve deleted messages on iPhone), search the web, get guidance on public transportation, and more. You can even ask Siri to search your photo library to find just the photo (How to Transfer Photos from iPhone to iPad) or video you’re looking for.